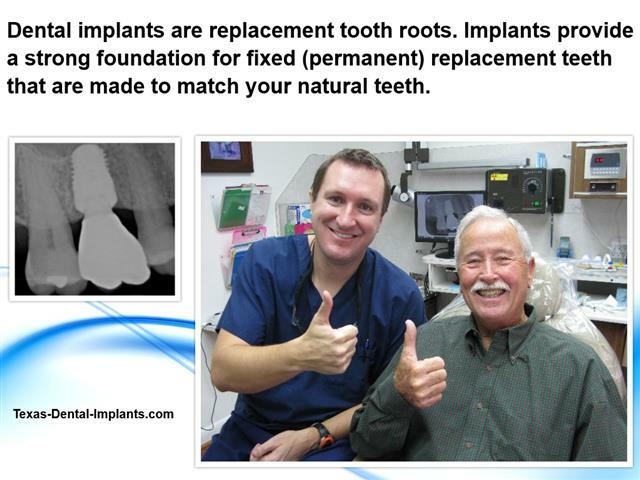 A dental implant is simply tooth replacement option that is based off a natural tooth. 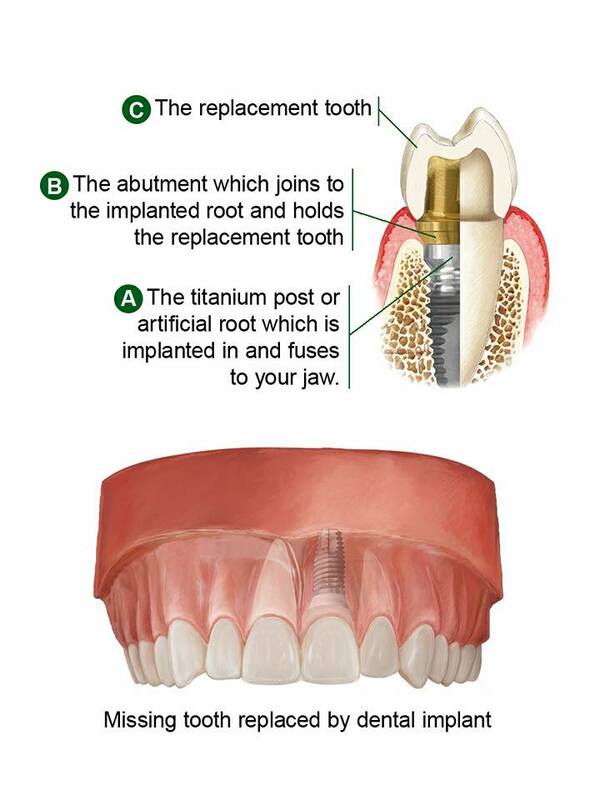 The dental implant is a titanium cylinder that is placed into the jawbone. 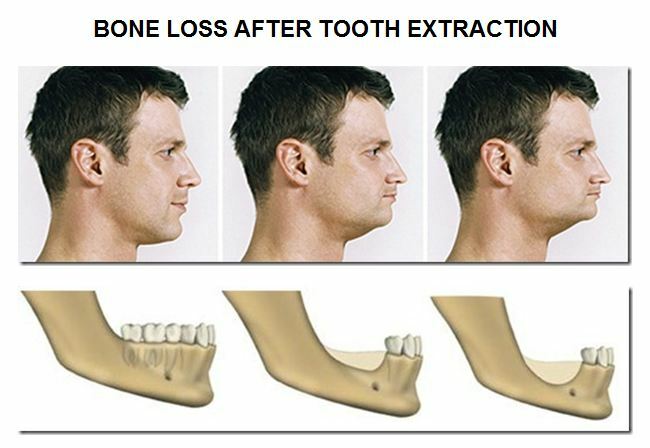 The dental implant and jaw bone fuse and create a root replacement. Then the abutment screws into the dental implant and serves as a base for the porcelain crown. So a completely restored dental implant consists of the dental implant, abutment and porcelain crown. Dental implants are placed in the jawbone where they fuse to the bone. This provides a tooth replacement option that acts like a natural tooth. 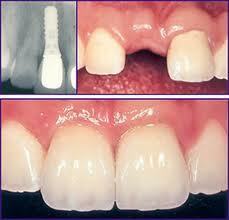 The chewing forces, look and feel of dental implants replicate natural teeth. Dental implants are not new. Dental implants have been used since the 1960s to replace missing teeth. The early dental implants were crude and unrefined. However, the early implants worked well. Decades of research and refinements have made dental implants the longest lasting tooth replacement option. The teeth and bone around the teeth support the cheeks. When teeth are lost the cheeks will collapse and cause a premature elderly appearance. Dental implants can improve facial contours and appearance. Dental implants aid in eating, speech, and patient’s self- confidence. Dentist doing bridges to replace missing teeth must aggressively cut on teeth to provide support for the bridge. Dental implants do not damage the structure or health of nearby natural teeth. Bridges routinely fail because bridges are difficult to cleaning. This leads to decay and a failed bridge. The patient now has a larger more expensive problem. Furthermore, the money invested in the bridge is wasted. 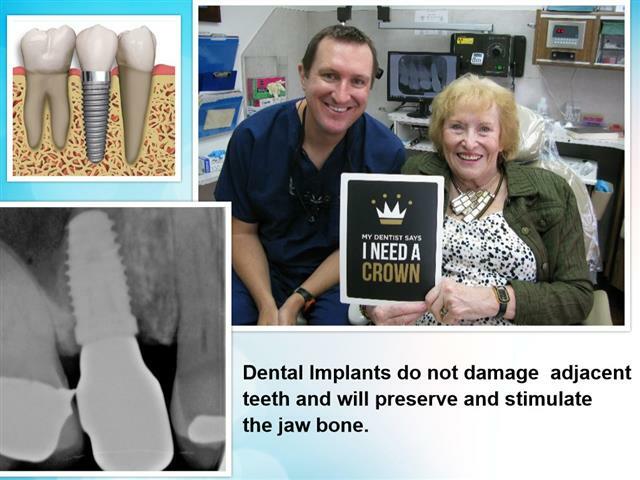 Dental implants will never get decay. Another reason bridges fail is that an anchor tooth will need a root canal or that the root canal will fail. 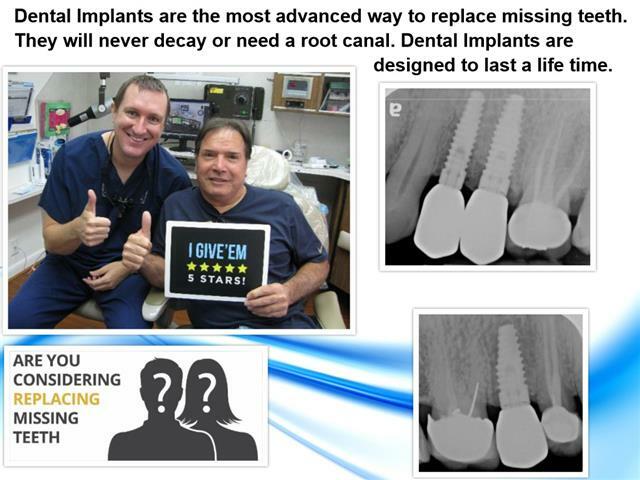 Dental implants will never need a root canal. Dr. Nugent is a leader in dental implant treatment. Dr. Nugent has been voted BEST PASADENA TEXAS DENTIST multiple times. 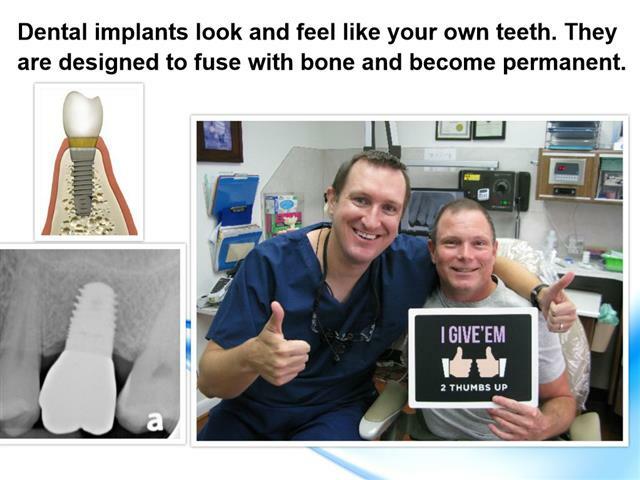 Let Dr. Nugent’s skill and passion for dental implants serve you. Dr. Nugent has helped patients in Pasadena, Deer Park, La Porte, League City, Friendswood, Clear Lake and Houston Texas restore their smiles with dental implants.